Squire Creek offers two meetings rooms. The Lexington Suite is a more intimate setting, perfect for seating up to 30 guests. The Squire Room has a maximum seating capacity of 14. It is a very personal and intimate setting, perfect for anniversary dinners, family gatherings, small business meetings and luncheons. 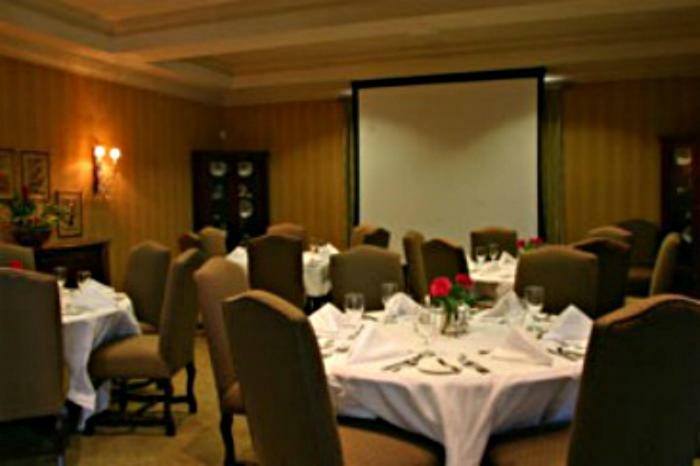 Each private meeting room features video and PowerPoint capabilities, wireless microphones, and sound equipment.